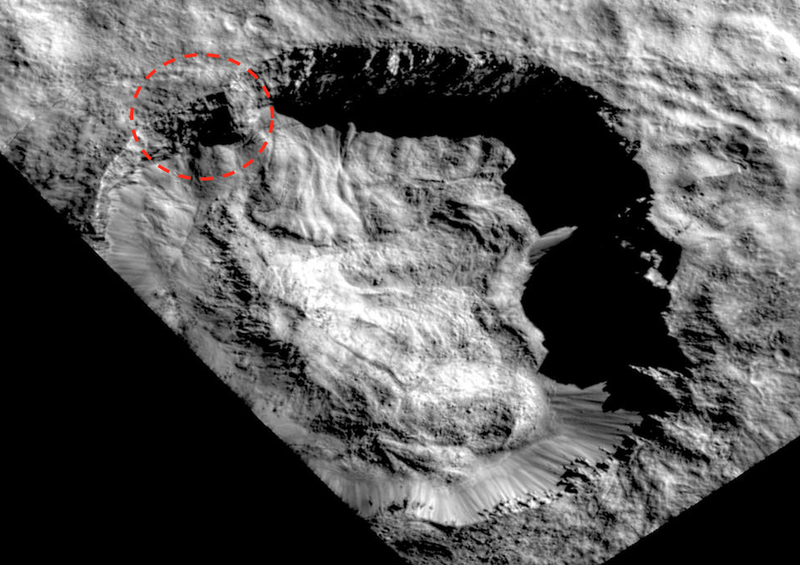 UFO SIGHTINGS DAILY: Ancient Tower Found On Planet Ceres In Juling Crater, March 24, 2018, UFO Sighting News. Ancient Tower Found On Planet Ceres In Juling Crater, March 24, 2018, UFO Sighting News. 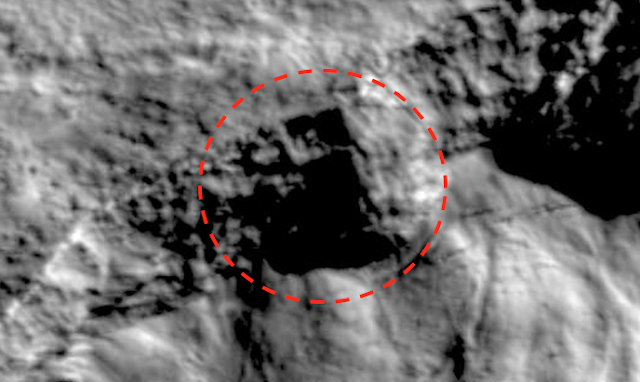 I found a structure built into the edges of Juling Crater on planet Ceres today. The building is clearly ancient, yet still standing strong. NASA tried to hide this structure by adding too much light to the photo. Its an old trick that NASA has used for decades and no longer works. All I did was ad some darkness to the photo, and the structure appeared. 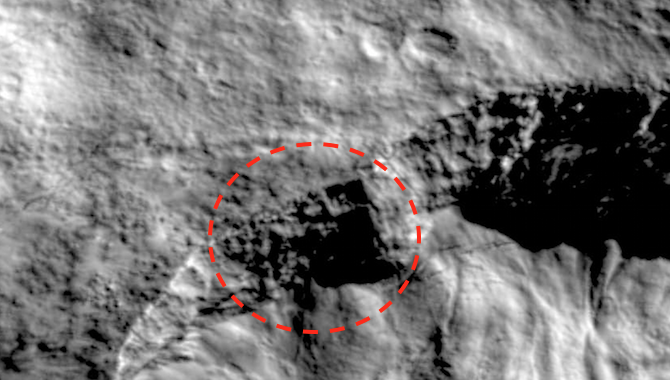 As you can see, the photo is now in focus, as is the structure. Why does NASA deliberately add light? They do that to drown out the detail so the public will never know whats really out there.